Octagonal headed hammer with flat cheeks. 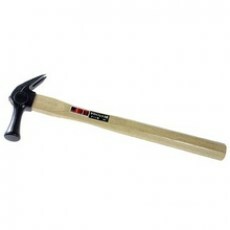 Well suited to tool setting inlaying and general purpose steel mallet work. White oak, unfinished handle.